Jeremy and I spent two days in Milan – I had to show him a bit of Italy and because it was so close, we went. What we did not realise was that the first two days of the new year are celebrated with huge 50% off sales and there were queues outside shops that I dare not even dream of entering around the block. Sadly, as a tourist, we also discovered that to see most of the sights (like the Last Supper) you need to book well in advance. 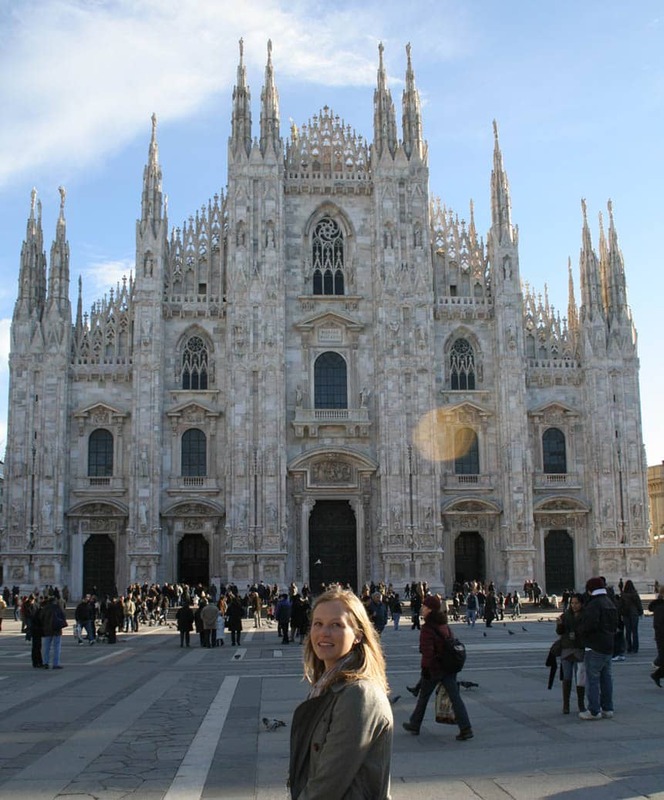 Our sight seeing in Milan consisted of the Duomo, the Galleria Vittorio Emanuele and people (including their fashion). 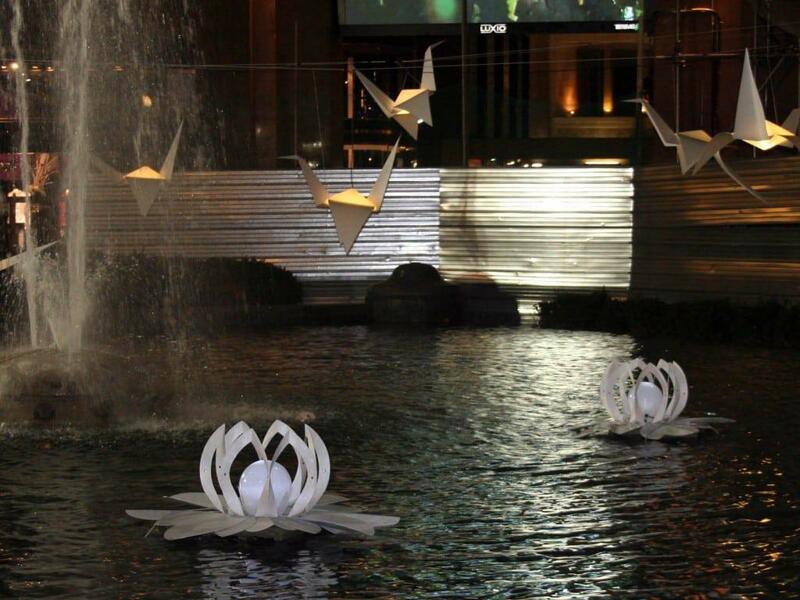 I really liked this water feature with paper water lily lights and origami birds. This entry was posted in Blog and tagged 2010, Milan, sale, suggestions, tips, tourist, travelling to milan. Wow, it looks like you had an amazing holiday! Great images, especially the attention to detail, amazing what a little sunlight can do. Venice was my favourite…. Great photoÂ´s of a nice travel.Unfortunately I was still never in Italy…but Anne.She was in Venice. Venice and Florence were my favourite places in Italy when I visited a few years ago. Unfortunately Jeremy and I only had a few days and Milan was close and I had never been there before. Sadly, it was nothing like Venice or Florence.